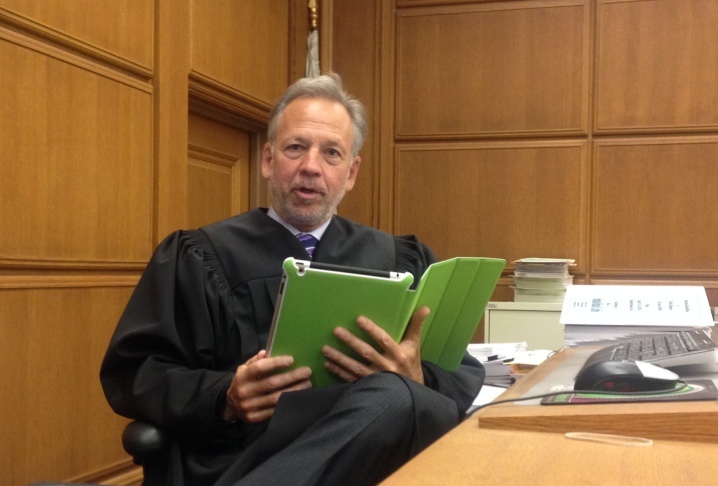 L.A. Superior Court judge Michael Linfield holds up an iPad that is identical to the ones jurors are using in a case in his courtroom. 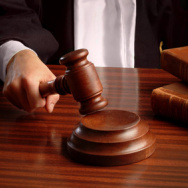 It's the first time at L.A. Superior Court that jurors have been provided iPads to review evidence in a case. 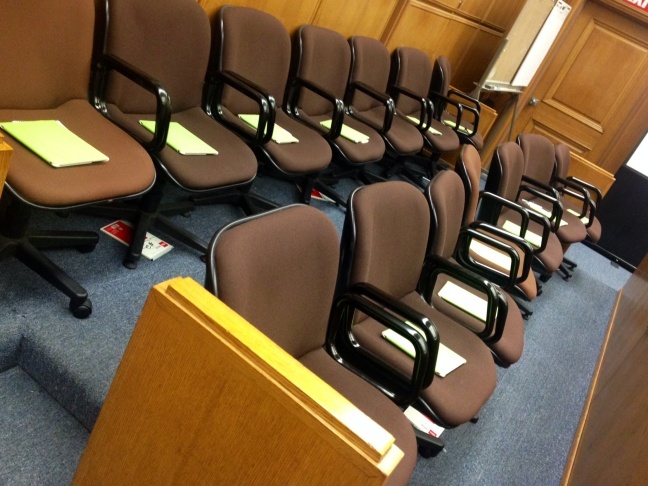 Green iPads await jurors before the start of a civil trial in Department 34 at the Stanley Mosk Courthouse in downtown Los Angeles. The jurors will use the iPads to review documents and photos that are introduced during trial as exhibits. 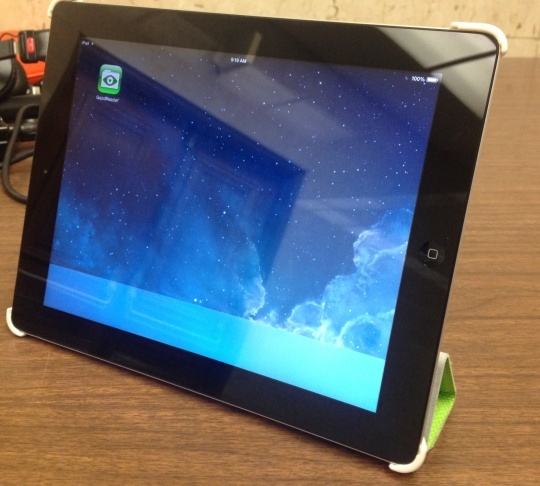 Twelves jurors and two alternates have been given one of these iPads to use during court to examine documents and photos that are introduced during a civil trial at the L.A. Superior Court Stanley Mosk Courthouse. 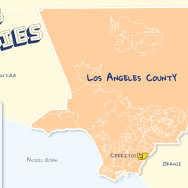 Some jurors are the first in Los Angeles County to use iPads during a trial. KPCC's Erika Aguilar says it's an attempt to modernize an aging court system.